Paraparesis that is linked to genetic factors is called hereditary spastic paraparesis (HSP). It causes the long nerves in the spine to degenerate over time. Paraparesis is a terrifying condition. You may feel unable to move your leg partially. It can make you feel helpless and frustrated. The condition is the result of the disruption of the nerve signal from your brain to your muscles. Therefore, it can lead to partial paralysis of both of your legs. The restricted mobility is a physical and mental challenge to you. Do not confuse it with paraplegia. It is the condition that results in the complete inability of leg movement. Unfortunately, paraparesis not only causes the inability to move your legs but also weakness in your hips. Genetic factors and viral infections are the underlying causes of the issue. The restricted movement in the lower limbs is a cause of concern. You may think it may not affect you. But, the truth is, anyone between the age of twenty and forty can get it. In some reported cases, young children get the condition. Do not panic! Read the article to know the comprehensive information regarding paraparesis. It is an incurable condition that can cause difficulty in walking. The viral infection or the inherited gene can lead to partial paralysis. The condition is mostly characterized by the spasms in the legs. You also experience progressive weakness. You can develop the symptom at any time in your life. But, the end result is the difficulty in mobility. People affected with paraparesis can observe a change in the way they walk (gait). In some cases, people find it difficult to urinate or control the bowel movements. Paraparesis patients have also experienced difficulty in speech and swallowing. It is due to the fact that the nerves of the pelvic area attached to the spinal cord get damaged or affected. Remember that the issue is incurable. But, you can effectively manage and minimize its effects. So, read ahead to know more. Paraparesis may not impact on your life expectancy, but cause you distress. Certain factors are attributed to the partial loss of the function in the lower body. A genetic disorder, injury or any types of viral infection are the main factors. The factors can cause damage to the nerve pathways or degenerate it. 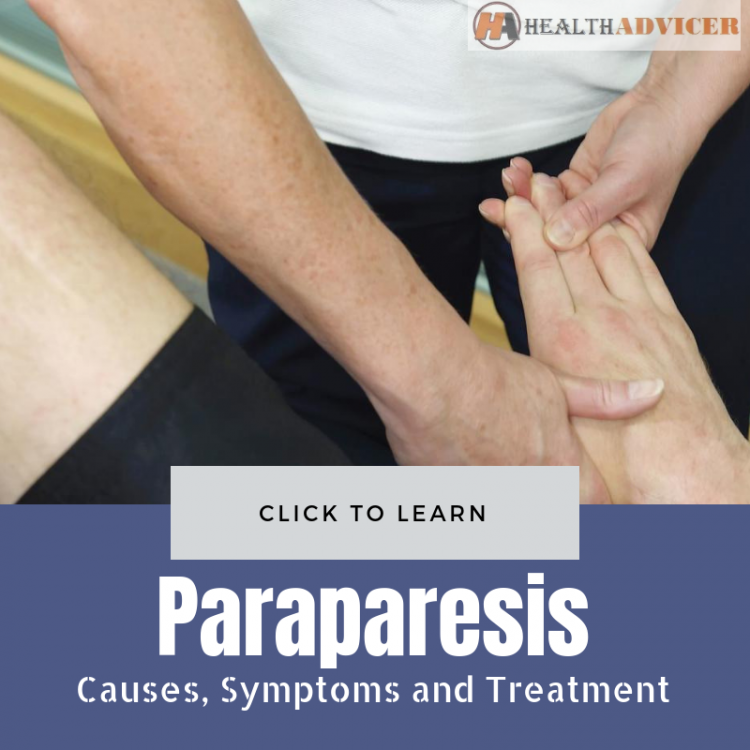 You can differentiate the paraparesis into types based on the causes of the issue. As the name suggests, it is the type of paraparesis associated with genetic factors. You may have a family history of the disease. Hence, it is the nervous system disorder that can cause weakness in your legs. You can also develop stiffness in your legs over time. The disease is also known as Strumpell-Lorrain Syndrome or familial spastic paraplegia. So, you can inherit the disease from your father, mother or both of them. HSP is inherited from parents. It is a common disease that can affect people of any age. Usually, you can see the initial symptom between the ages of ten and forty. The HSP has thirty genetic types as well as subtypes. Your parents may pass the dominant, recessive or the X-linked genes into your system. So, you have the chance of inheriting the disease with a family history. But, children of parents with HSP gene may not develop the disease. They mostly carry the abnormal gene in their system. In some cases, the disease is not inherited. It develops randomly with the genetic change in your system. Therefore, even with your parents not possessing the abnormal gene, you may develop the disease. The children with parents possessing the HSP gene have a 50% chance of getting affected with paraparesis. With the disease affecting the body, the patients may feel gradual impairment of lower body movement. It is due to the fact that the spinal nerves that control lower body movement and muscle tome get damaged. It is a progressive disease. 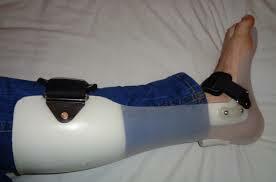 So, the impairment of movement in one or both legs happens gradually. Tropical Spastic Paraparesis is another type of disease. The viral infection is the cause of the disease. The disease can affect your nervous system can cause mobility issues. So, you may feel muscle spasm and stiffness. People who get the infection may not show any symptoms for a long time. The signs of the infection may take decades to show. TSP can lead to loss of skin sensation in the lower limbs like legs. It can also affect the spinal cord leading to muscle weakness. The infection can compromise the immune system. So, affected people can become prone to other diseases. 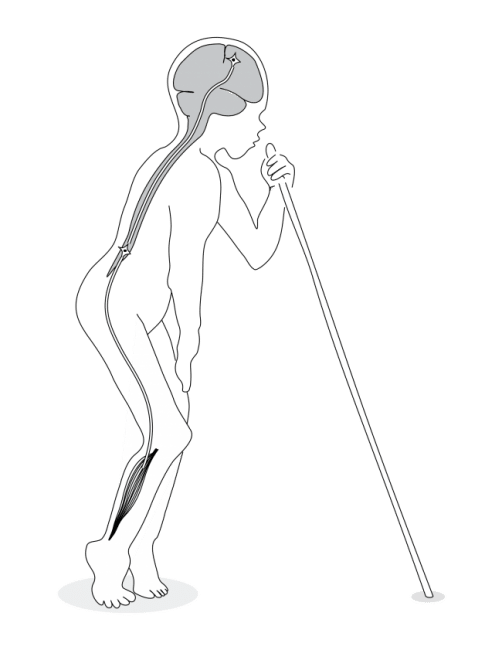 Paraparesis can affect mobility. So, the common symptom of the disease is the difficulty to walk. It also makes the affected people susceptible to fall. Most people with the disease tend to walk on the tips of the toes. It causes the feet to turn inwards in the shoe. As a result, most people can see increased wear around the big toe. The issue can also cause exaggerated reflexes that come with spasms. But, you may experience specific symptoms based on the type of paraparesis. You can classify the Hereditary Spastic Paraparesis into two different categories based on the signs. You can read below about it to distinguish between the two properly. You may not notice the symptoms for a long time. It develops gradually over a long duration of time. So, it becomes difficult to pinpoint the time when you see the signs of paraparesis. You may ignore the mild symptoms as it causes no problem with the day-to-day life. It only becomes more glaring when it starts to affect your daily functions. Therefore, even with the family history, you cannot predict the age of getting the signs of the disease. So, you need to seek the medical assistance to diagnose the problem effectively. Your doctor may order some specialized tests to confirm the disease. The different methods can diagnose the diverse types of paraparesis. It is the diagnostic procedure that sheds insight into the health condition of the muscles. It also evaluates the nerve cells that control the muscles. It is a test that can evaluate the dysfunction and nerve damage. 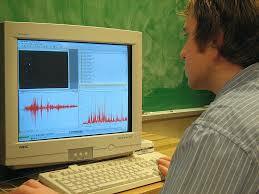 Also known as nerve conduction velocity (NCV), it measures the speed of the electrical signals. So, it gives an idea of how fast the signals move through the peripheral nerves. The advanced imaging process can offer a clear picture of the nerves and the subsequent damage. Therefore, it can also rule out other diseases like cerebral palsy, hereditary motor neuron disorder, multiple sclerosis, etc. The blood test will rule out the b12 deficiency that has similar symptoms. Genetic testing is also available to detect the HSP. So, the doctor can come to a confirmed conclusion and take necessary steps. It is helpful in developing an apt treatment plan for you. The doctor will ask you questions relating to your place of stay. You may have to recollect the places you have visited. It will shed light on your presence in the area that can infect you with HTLV-1. So, you also need to offer information on your sexual history. If you have used intravenous drug or needles, then tell the doctor about it. The sophisticated imaging technology offers a clear picture of the spinal cord. It will shed light on the nerve damage caused by the TSP. The test can collect the sample of your cerebrospinal fluid (CSF). 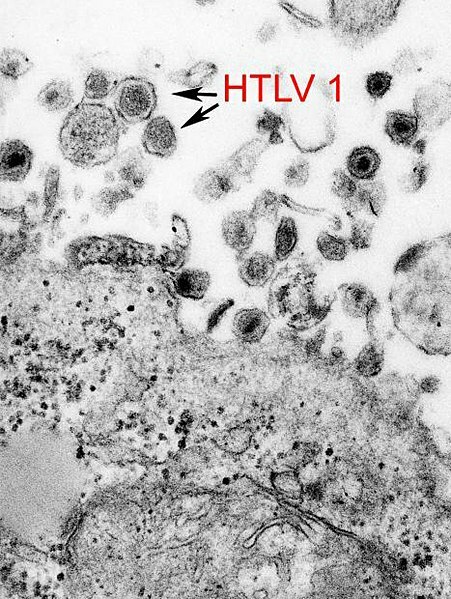 So, it detects the presence of the infective HTLV-1 virus along with the antibodies of the virus. Physical therapy aims to maintain muscle strength. It also improves the range of motions and enhances endurance. The regular movement can help you avoid pressure sores. With regular physical therapy, you can avoid the severity of cramps and spasms. Your doctor may prescribe medication to overcome the pain and associated symptoms. It helps you overcome spasticity and muscle stiffness. Hence, the additional signs like bladder infections and the urinary problem are controlled with medications. The inflammation of the spinal cord gets reduced with the use of corticosteroids (prednisone). But, remember it does not cure the disease. Therefore, the disease can still progress even with the use of the medications. Paraparesis is not a life-threatening disease. Your life expectancy is normal even with the diagnosis. You may not experience any symptoms for a long time. Even with the family history of diseases, different people may experience the signs at different times. Hence, you can manage the symptoms effectively with better medical assistance. You can even improve your mobility with or without any support. Using crutches, splints, or cane can help you walk. Only a few people require a wheelchair for mobility. Therefore, talk to your doctor to get the best assistance to lead a good life even with the disease. In a nutshell, I am a creative person with the penchant to research new topics. I am a voracious reader with interests ranging from fiction, science, to non-fiction topics. Having close contact with loved ones suffering from lifestyle and other diseases, I am interested in knowing and understanding the different diseases that can create havoc in the lives of people. Knowing more about it is a personal conquest, which has now developed into writing about it. I have an engineering degree in computer science, but my passion lies in writing about different topics. Shop Your Favourite Product On Amazon!